If you are interested in joining this trip we urge you to book today as there are only four spots left before the trip is sold out. 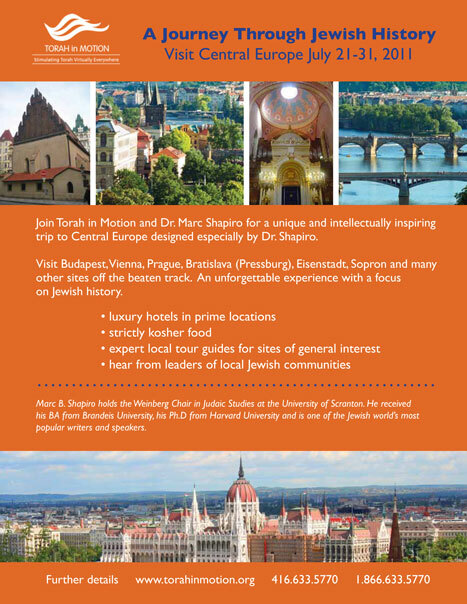 A central feature of the tour will be Dr. Shapiro's expert discussions of the many places we will visit, making the trip nothing less than a travelling classroom . In addition, we will be joined at various times by expert local guides who will provide their own angle. Members of the Jewish communities we visit will also speak to us about life in their countries.